"This workshop was in creation for many years and on my last journey to Egypt I got instructions from my guides that it is about time to do it. We never know exactly what our instructions are, but we mostly get the general guidelines. So finally, let it be unhidden what was hidden. The mystery schools are opening up. 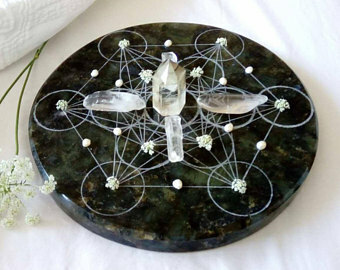 This workshop connects the Sacred Space of the Heart, Sacred Geometry through experience of both. 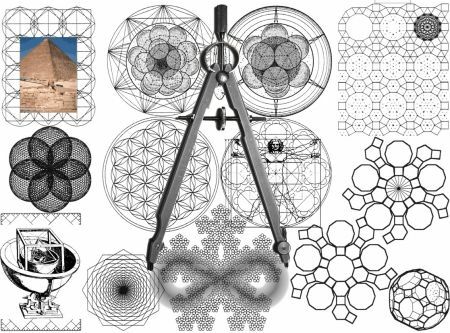 Mostly people start to study Sacred Geometry only through the intellectual understanding. On this workshop we will start experiencing Sacred Geometry first and seeing it through our inner eye of the Heart. Our Heart holds the original memory as being part of the Creator. In ancient Egypt and Atlantis the Sacred Geometry was not meant to be only understood, but mostly experienced. It is the universal language, understanding beyond human words, expansion of consciousness. We will explore what we already know and feel, but have maybe forgotten. 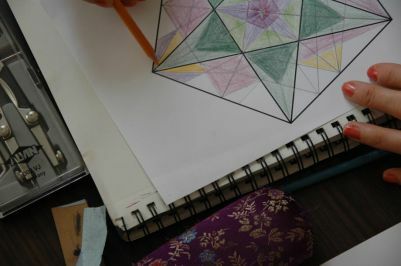 Sacred Geometry of the Heart is a totally different workshop I have ever done. It requires a lot of preparations. So I will not be repeating this workshop really often. It is hard to describe the feeling and passion I have for this work. See you in the center of the Flower of Life." This workshop will be an experiential rollercoaster ride. From the little dot to multiverse and hyperspace. No previous experience or study is necessary. What are we going to experience? Sacred Geometry is not the answer to the Universal questions. It is the key to answers. It is the original blueprint through which everything is communicating between each other. It is the creation of all that is and all that isn't. 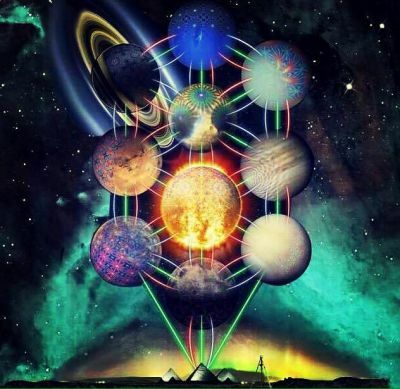 We are all connected through one consciousness of Sacred Geometry. 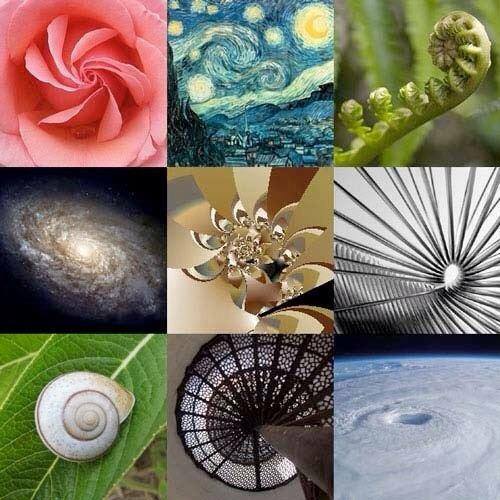 When you study nature, you see patterns everywhere. From the leaves and petals of a flower, wings of the butterfly, spiral in the seashell, shapes of the galaxies, ratios in our bodies. And people started studying these natural patterns and recognizing that perhaps there is a deeper connection between different levels of life. 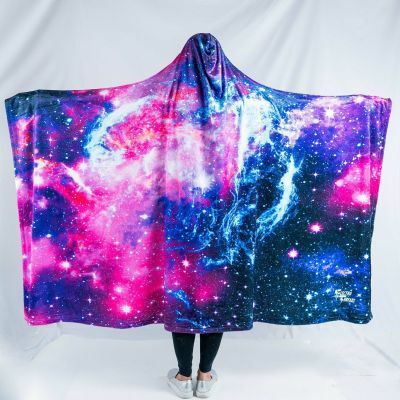 Maybe the universe was created to follow some specific design. This idea goes back as far as humans have been questioning the universe. Sacred Geometry is the most studied subject in the whole Universe. It includes not only shapes, but also numbers, sound, colors, vibration. We didn't invent geometry, or time or numbers. We have discovered them and remembered them. There is a numerological system for everything. The development of creation goes by a pattern of numbers. Numbers are steps of consciousness. They don't exist. To experience and understand Sacred Geometry we must use our imagination. Using our imagination will enable us to feel and express geometry into reality. First there is imagination. Then is understanding. But most people start studying Sacred geometry with understanding. In the beginning was the logos the Big Bang, the primordial OM. The center of the Flower of Life. One single thought created everything. What you see with physical eyes is visual manifestation of Sacred Geometry. Everything, even your thoughts now, is Sacred Geometry. Reading the Akashic records through Sacred Geometries and using your heart is one of the oldest ways to tune into the universal matrix. Sacred Geometry is a study of the universal language of truth, harmony, beauty, proportion, rhythm and order. It is a blueprint of creation, an interface between the seen and unseen, the manifest and unmanifest. Sacred Geometry can be defined as an understanding of the underlying numerical and geometric Principles of Creation. 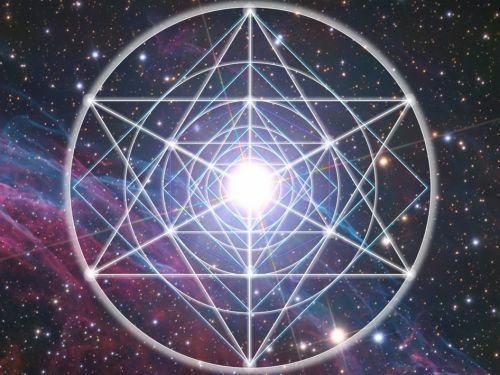 To truly understand Sacred Geometry we have to understand that everything in the universe is made up of energy and it is in a continual state of transformation. All actions obey distinct patterns, and Sacred Geometry describes these laws. It is a pathway to understanding who you are, where you are from and where you are going. It is also a language of symbols, light and art operating via the Right Hemisphere of the Brain that understands Pictures, Colors, Shape, and Holographs. The Ancients such as the Egyptians, Sumerians, Greek, Tibetan, and Mayans… incorporated Sacred Geometry teachings into their mystery schools. These once closely held secrets were transmitted through the studies of Vedic philosophy, Feng Shui and Taoist philosophy, Western Alchemy, Freemasonry, and the Rosicrucian movement. Their initiates had to learn the Alchemy of the Soul. Sacred Geometry is the Language of Shape, vibration and symmetry. From the mosaics of Sufi Art, the pyramids of Ancient Egypt, the Mandela’s of Vedic Philosophy, to the calendars of the Aztecs and mystery schools and secret societies in the western world, to the medicines of India, Tibet, China, Celtic and Druid – Sacred Geometry has long bridged the world of spirit and matter. It continues to play an integral role in the traditions of art, architecture, science and cutting-edge physics, alchemy, Feng Shui, geomancy, music and mathematics. "An image is only perceived by imagining because an image is not what one sees but the way one sees." From electrons to galaxies - the cosmos is drawn and bound together by geometry. We are each made up of billions of little sacred geometric forms which are vibrating energy. 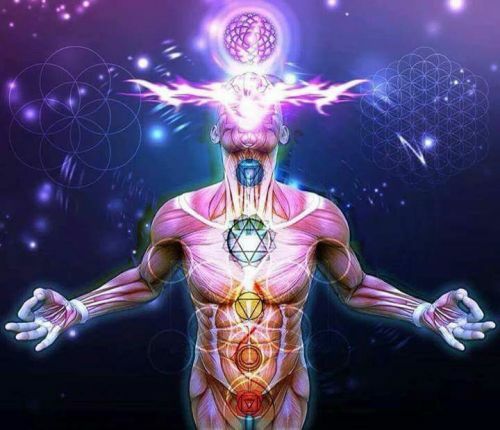 And the connection of this energy is governed by the same Sacred geometries all over the universe. Why are there 7 days of the week? Why do we have 7 chakras? Or are there 13? Why are there 52 cards in the deck? Why are we talking about 21 archetypes in Tarot? Why are there 5 elements in Alchemy? Why are there 12 divisions of the zodiac? Why did Jesus have 12 disciples? Why are we turning to the 4 cardinal directions? What is the holy trinity 3? Why is I Ching Hexagram divided into 64 divisions? Why are we singing OM 108 times. Why do we have 5 fingers and not 7? Why does the circle have 360 degrees? We will see exactly why. We exist in a sea of waves, our brain is like a radio with multi-dimensional antennas capable of playing all stations at the same time. Our Consciousness is a dimensional ladder, a musical instrument, always being able to tune to different frequencies. We don't perceive reality from up or down, left or right, front or back. But from inside only. Let's explore the sounds of our bodies. The Chakras have their tones. The bones, hormones, heart, brain and the nervous system are playing a melody and a rhytm. Melody and the rhytm as a balanced instrument. "At the beginning there was a word. And the word was OM." What if everything you can imagine you didn't imagine at all? What if all reality is just an idea being downloaded and projected outside of you? "We are just imagining that something exists outside of us." Understanding the universe means understanding yourself. Remember who you really are. You are Infinite consciousness traveling through different variations of yourself. "God/Goddess wanted to see herself/himself. That is why he/she created a mirror of himself/herself." This is a workshop, where you remember that everything is Sacred Geometry. How to see beyond the mists of the mind. To see beyond the veil. We don't need to learn from anybody how to return to the heart. We are already there. We don't need to learn to meditate, because we are meditation. 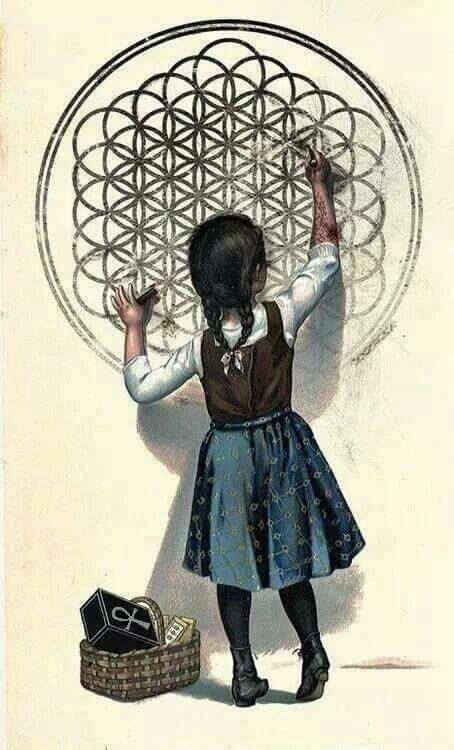 We don't need to learn sacred geometry, because we are sacred geometry. We are just remembering what we already know. Knew before. But only forgotten. We will be seeing, drawing, creating, visualizing, and manifesting Sacred Geometry. World of Sacred Geometry is like a dream world, which has always been there. 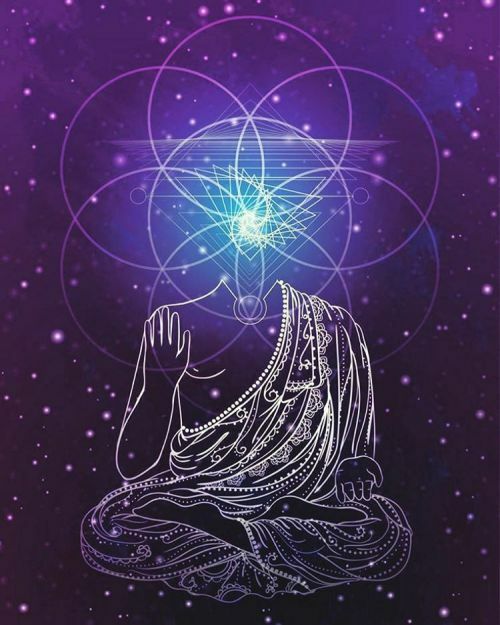 We will connect with our oldest and truest point of consciousness. The center of the Flower of Life. The creation point of Sri Yantra. 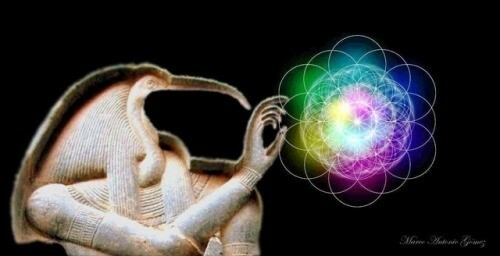 The ancient vibration of the Source. Everything around us is an image. Image projected by our visual cortex. And everything around us is Sacred Geometry, being translated into the language of human mind. What is the world beyond human mind?